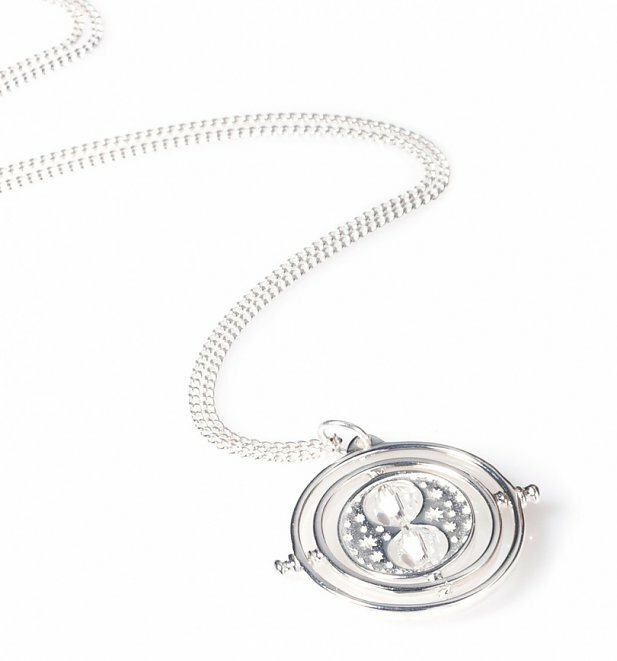 Time-Turners may have made time travel possible but this beautifully intricate necklace makes a truly timeless Harry Potter piece. 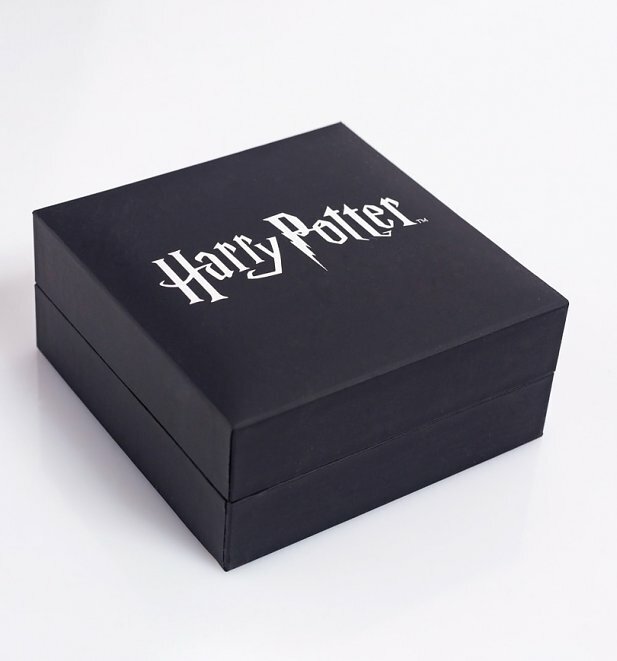 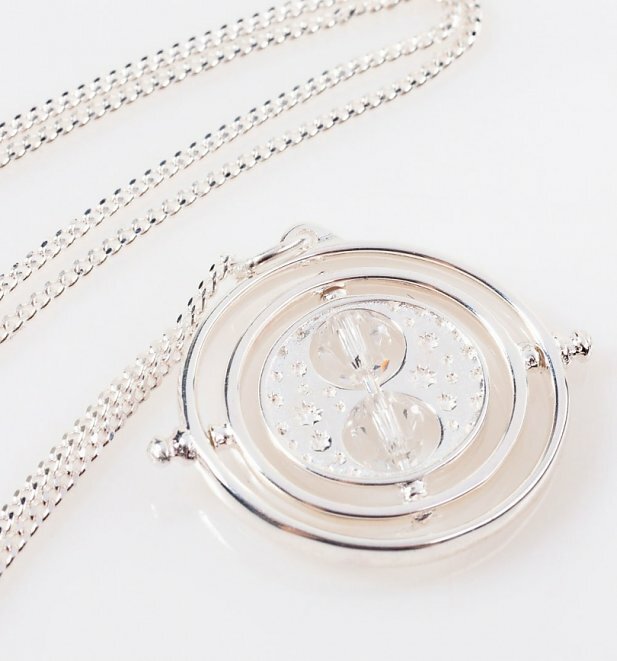 Embellished with classic Swarovski crystals and finished in sterling silver, we can't guarantee it'll turn time but it will definitely turn (Potter) heads. 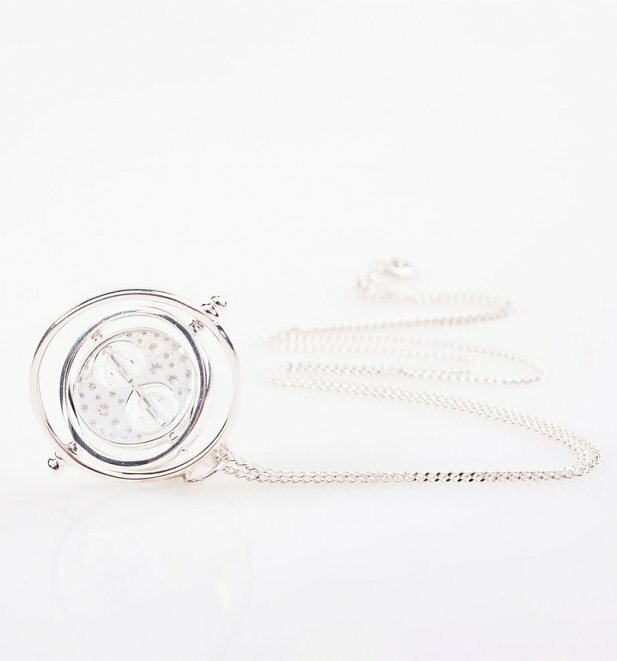 - Pendant measures 20mm high and 20mm wide approx. 26413Swarovski Crystal Embellished Harry Potter Spinning Time Turner Necklacehttps://www.truffleshuffle.co.uk/product_images/TS_Swarovski_Crystal_Embellished_Harry_Potter_Spinning_Time_Turner_Necklace_Close_Up.jpg69.99GBPInStockGBP/women/movies/harry-potter/movies/accessories/fairytales-and-books/accessories/jewellery-and-watches/90s/silver/accessories/jewellery-and-watches/necklaces/noughties69.9900I mark the hours, every one, nor have I yet outrun the Sun. 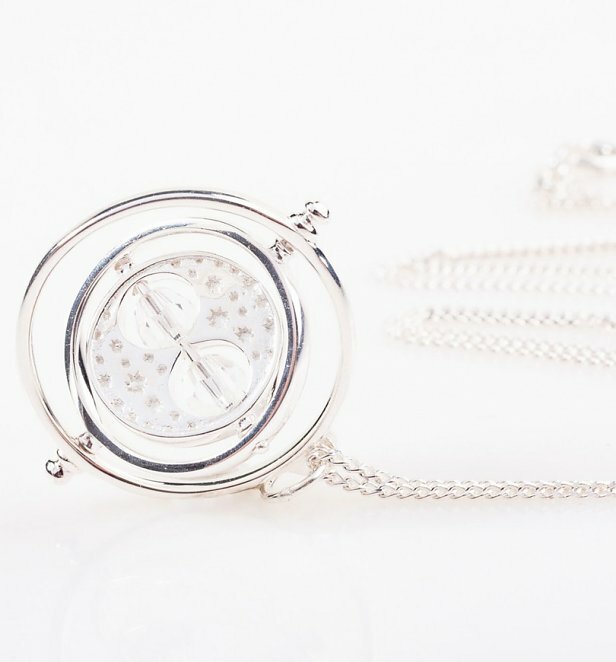 My use and value, unto you, are gauged by what you have to do.